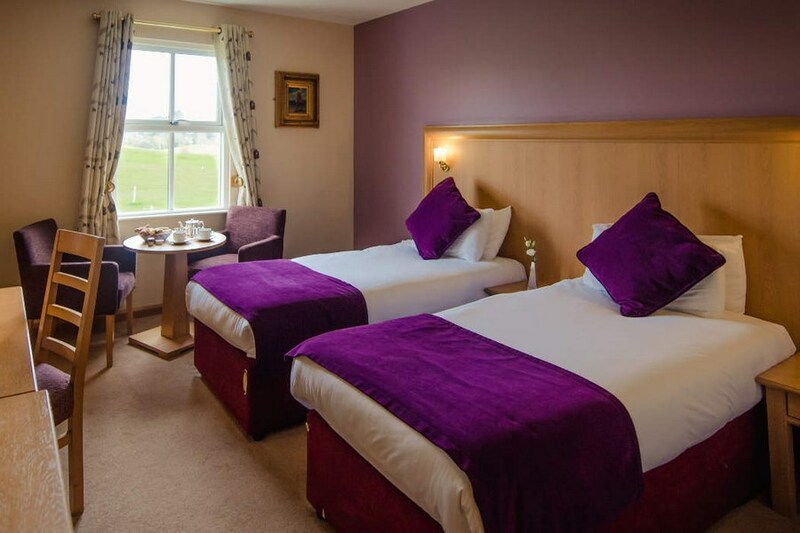 Roganstown Hotel & Country Club is a beautiful country house hotel, near Dublin Airport, Swords, North Dublin, offering luxury 4 star hotel accommodation in spectacular surroundings. 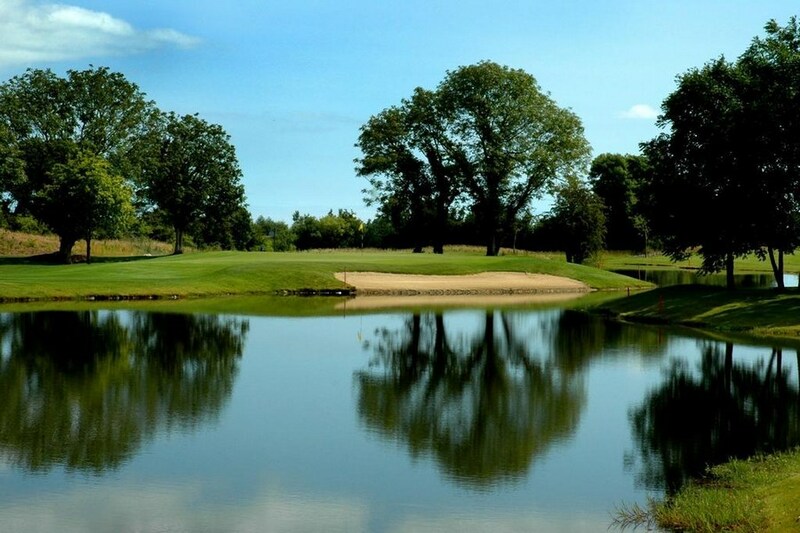 At the Roganstown golf and country club there is a variety of different activities that you can partake including, golf or a relaxing afternoon in the leisure club. I stayed here on Saturday the 20th and was disappointed. The food was lovely but the portions were very small. I got no side to my meal but my partner did, which made no sense. I would have been left hungry only he gave me some of his sides. The coffee was also burnt at the meal and again in the morning. Positives: the breakfast was substantial and the service was excellent. The surroundings and ambiance was perfect. MAJOR let down was the fact that whoever took the booking did so with NO consideration for me. They put me in a room BETWEEN 2 families. The children were let run freely and noisily up and down the corridor and in and out of rooms, banging doors. They made a LOT of noise up to 2 in the morning! IF I was put in another room this hotel would have easily gotten 3 or 4 stars. When I complained all the receptionist said was, "Oh sorry, who would let their kids do that?" Such a nightmare for a belated Valentines present that could have easily been a DREAM. Very good price for B&B with dinner. Nice cosy bar, could do with music on a weekend. Nice meal although I didn't like the 2nd menu for people on a deal, I would have liked two courses from the normal menu. I saw one of the waiters bullying a younger waiter, pushing him which was not nice. But then I saw another senior waiter give out to him so it must be a culture in the dining room?? The bedrooms rooms were basic and clean, I would have liked more channels on the TV. Breakfast to our room was lovely. The swimming pool area was dated, the Jacuzzi looked murky but I saw a lady cleaning the shower area to high standard. The towels were seriously small in the pool area and threadbare. Check in and out was good. The bar staff were nice although they did not have a full complement of drinks for after dinner (amaretto). All in all I was happy with my stay a few niggles, however I would return and have recommended it to my parents. All it would take would be a few nips here and there to make it perfect. Myself and my husband had a lovely time last weekend in Roganstown. The staff, food and service were very good. We would return in the future and would happily recommend it. Fantastic stay yet again in Roganstown. Absolutely beautiful food in a very relaxed setting. Hotel and facilities are lovely. Pleasant and helpful hotel staff. The restaurant was terrible. 2.5 hours until we got our dinner. Had to complain a few times to get attention. Food was average. Disappointing meal. Stayed at this lovely hotel on the nights of 13th and 14th Dec. The spa is terrific and should not be missed! Staff are so friendly and dedicated to making guests feel right at home. Rooms are great - we had a fantastic, high-ceilinged room at the front of the hotel and there was a christmas tree right outside our window ! Room had everything we needed. We will definitely go back to repeat the experience! Lovely stay in a lovely hotel. The breakfast was top class. Bedrooms as you would like. So near the village of Swords. Did not like this at all. Very poor.. Breakfast was very slow only few bits out then had to wait around for more to come out. Not great menu for dinner. No hot water in shower. When we told them. They didn't offer anything in return of us having to have cold showers for nights. Very disappointed in it. Stayed the 20th Nov 2015 with my wife for one night. We found everyone working in the hotel to be friendly and helpful . The food was nice and good value for money. The rooms were clean and well maintained, we had one minor problem with the heating which was fixed quickly. I would recommend this hotel to a friends and family. Enjoyed our stay. Thank you. P and S Byrne. Lovely hotel. Really friendly staff. Clean modern rooms with golf course view. Cater well for infants. Lovely pool area. Lovely food & restaurant service Only downside was a poor nights sleep as light sleeper and had extract fan in bathroom that was vibrating!! Just unlucky with room number I guess.. But lovely overall. We spent two nights at this hotel and really enjoyed our stay. Our room was lvely and spotless as was the rest of the hotel. The facilities were fantastic , fabulous pool, steam room , sauna and jacuzzi. The staff were brilliant and so attentive. The food was lovely also but the menu for our package was very limited over the two nights which was a pity. Breakfast was lovely. We will return. Lovely hotel - have stayed here before. Staff are lovely. Food is really good in the restaurant. Roganstown Country House, beautifull setting, very welcoming, rooms spacious and most comfortable, breakfast perfect and served beautifully. The only negative aspect were directions and signposting of the House - they were inadaquate. I will return. M. D. Kerry . We really enjoyed our stay here. the rooms are lovely as are the bathrooms. The bar and dining areas are spotlessly clean. The staff are very pleasant, efficient and helpful. We look forward to staying here again in the future. Bernie B 23/3/12 Booked one night St Patricks day with friends. Hotel great, Beautiful location you would never think you where near Dublin City. Staff very friendly and helpfull. Food,excellent good choice on Bar and Evening Menu. Log fires in Bar and Dining room just lovely and comfortable chairs to " chillax". We had such a lovely time would definately recommend to family and friends. Delicious dinner, lovely room and excellent leisure facilities. The only issue, was that they seemed to have forgotten to bring our room service breakfast so we ended up getting it quite late, but overall a really good hotel and a very pleasant stay. Lovely, lovely place, great room, tranquil setting, nice food and friendly staff. What more do you need. Would visit again without a doubt. Overall, very very pleased with our stay at Roganstown house. Beautiful rural location and hotel itself was very charming and had a real country manor feel, in particular the dining room with the chandeliers, comfortable chairs and gorgeous log fire. We just didn't want to leave. The bedroom was however a little bland in terms of décor. The food both at dinner and breakfast was absolutely divine and exceeded our expectations. Service in the dining room was,however, a little bit casual but no major complaints there just little things, like having to figure out whether we would be seated or not for breakfast, as the waitress just took our coffee/tea order and disappeared to the kitchen, leaving us standing at the dining-room entrance, wondering whether she would return to seat us. Leisure centre was lovely - clean and tranquil. We will certainly return. Overall we had a very nice time staying in Roganstown, we were there to celebrate my partners birthday. When we checked in our room was freezing, the heat had to be put on manually although it heatedup pretty quickly. We had a nice lunch and a few drinks and then some of us used the pool and jacuzzi in the afternoon, and then had a lovely meal later that evening. I wasn't expecting anything special from the included set menu but we were all nicely surprised by how good the food was, we then settled down and relaxed in the bar for the rest of the evening. The following morning everyone in our party had breakfast but I have to say the breakfast wasn't great. I chose the traditional Irish breakfast but the food was average, the sausages could have been cooked a bit longer and I would have been disappointed if we just chose B&B. Overall our group had a lovely time and we would stay in Roganstown again. David, Leixlip. Lovely hotel, staff were very nice, facial in the spa was really good. Would stay here again, good value. Stayed on 17th December for a night. Had a lovely time, the staff were very friendly and the meal we had was excellent. The bar area was very relaxing with a lovely big fire. Didn't use the leisure facilities. Would definately recommend this hotel to friends and family. Very much enjoyed our stay at Roganstown. The place itself is lovely, the food excellent and the staff very friendly.We will definitely go back there. Nice hotel, friendly helpful staff. Relaxed bar. Pool nice and warm. Usually go the Marriot Ashbourne with the kids and wife for a one night break and swim, but they have started getting pricey again. My partner and I stayed in The Roganstown Country Club Hotel recently for a nice romantic night away close to home. The Hotel was set in lovely grounds and the weather made it perfect for a nice stroll. The hotel has a very old fashion theme throughout but it is done very well and has that warm homely feel. Rooms were nicely decorated and had everything you needed. We took advantage of the amenities including the pool and sauna area which was very relaxing especially because we where the only people there !!!!!!!! Swords town is 5mins away and been minus a child for the night the cinema was a nice addition and thank god we did break the day as the only bad point about the Hotel for some people is it is so so quiet. We enjoyed a lovely dinner in the bar that night and the staff where lovely and so helpful but god was the bar quiet and even though they had numerous televisions they were not put on even with the request of many of the men as the boxing fight was on that night, but to no avail most people left for their rooms very early as there was no atmosphere. Overall a lovely quiet relaxing break in a beautiful hotel just what we needed but to stay more then one night could be too boring. We, a group of 8, spent just one night on Saturday last here. The hotel is beautiful, in a lovely tranquil setting and exceptionally quiet. Excellent Leisure centre and all but 2 of our group used same. Pity was we had to leave early next morning meaning we could not have another swim. Our stay was to celebrate a 'special' birthday and we had a great night, with an excellent meal in the beautiful restaurant. We will without a doubt return. All of our group commented on the high standard of the bedrooms. 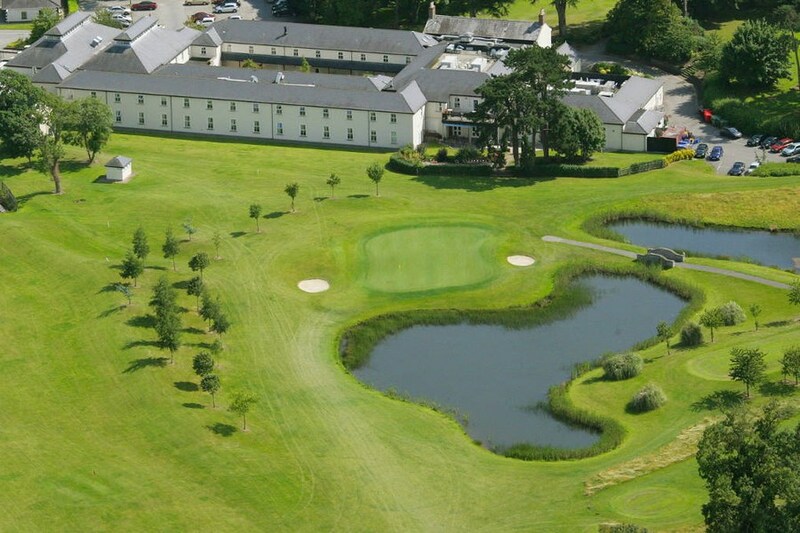 Roganstown Golf and Country Club hotel is an Old World hotel. My initial impression when we drove to the enterence was orne of dismay, I hasd more than a few misgivings at the time, however when we stepped inside it was a completely different world, truely homely. The staff were all very helpful and our room was beautifully decorated inkeeping with the character of the hotel. and the beds were top quality, very comfy. Am aspect very important to me as I suffer from severe back trouble. We enjoyed a lovely mesl s erved in the Dining Room and had our coffee served in the relaxing lounge, For anyone needing to get to the airport they had a shuttle bus service.My only gripe is that it is a good distance from Dublin City so not suitable for those thinking of shopping or visiting the sights in Dublin. A must for those wanting a break to get away from stressts and strains of life, definitly a 4 star and a place I wouldn't hesitate to return to. Excellent,clean hotel,nice pool,food good. Lounge décor a little dull,needs a lift. Over all nice place,good value for money. Great for relaxing on a long Easter weekend break. Good food and facilities and a nice setting.